I am standing here on the edge of a long weekend. I am really looking forward to an extra day off work. I have a floating holiday I -have- to use. Woe is me. Writing was so so this week. Missed one day. Have beem jujst mentally exhausted after a day grinding numbers. Fortunately the writing usually is done early. I am struggling to get through the end of Mass Effect. The story really didn’t grab me like Dragon Age. Still want to get through it and try ME2. Playing Star Wars Legos with the kids a lot. We’ll have a good weekend. Soccer practice, halloween party, concert, and family fun Sunday. I am fully expecting to be exhausted by the time is over. I will definitely need a break after it is over. Well, here we are, registered domain name and all. A little more professional looking than blogspot/blogger, yet only the things I really need on a site right now. I don’t need a shopping cart or 10,000 email addresses that a domain host would offer. Just me and my wordpress blog. I have kept writing through all this time. Certainly not as much as it was before the new job, but that is to be expected. The new job is going well, by the by. Mortgage still getting paid and all that happy stuff. I brought over the word meter. Mostly so I could have the code there. I haven’t made much time to keep track of my number of words. Quickoffice has betrayed me and made opening files on my droid a real pita. I have found another solution, but have a huge section of notebook filled with my poor handwriting instead. I pity whatever distant relative stumbles upon these notebooks and tries to decipher them after I’m gone. So with the snazzy new site and domain time, it then falls to me to make a commitment to actually updating this blog rather than letting it stew. Don’t be surprised if I throw up the random movie or video game review to help fill the space. I certainly spend enough time playing games to facilitate a review or two. I think my first review will be a comparison of Dragon Age: Origins vs Mass Effect. I have gone to great lengths to overwhelm myself. Yes, that was entirely the goal. And it’s succeeding! Go me. I started classes last fall at a local community college working toward a Software Development degree. Last semester was just one class, Biology. I was late getting to registration and there wasn’t much left. This semester, I decided to take 4 classes, two “easy” and two I knew I’d have to work at. School has always come easily to me and I don’t want to be dragging a 2 year degree out to 4 years. My two “easy” classes are easy, but it’s still a good chunk of work. So what else has kept me busy? Still working full time. The kids are doing great (it’s no longer safe to spell words around my daughter). And my wife decided it was time I got an XBox 360. I resisted getting this for a long time. Why you ask? Because I love it! The great thing about getting it so long after the release is that all the games I have wanted to play are dirt cheap at Gamestop. Picked up Halo 3, Fable II, Gears of War 2, and Left 4 Dead 1. And there are still plenty more games I want to grab. Also been taking the time to read lately. There has been a book here or there lately, but I haven’t really made much time for reading. Have started reading The Dwarves by Markus Heitz and Heinlein’s To Sail Beyond the Sunset. Also reading Assassin’s Apprentice by Robin Hobb from my wife’s e-reader. I almost stopped reading The Dwarves. There was a prologue, and it really wasn’t catching me. 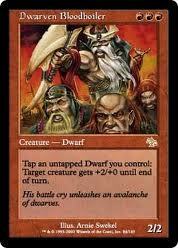 But I love dwarves, so I pressed on. 150 pages in now and enjoying it quite a bit. Sunset is great so far. This is the first Heinlein I’ve read besides Starship Troopers. But I felt like there was a gap in my SF reading and found this one so snatched it up. Haven’t gotten far into Assassin’s Apprentice yet, but I think I’ll like it once I do. My wife is currently going through the Dresden Files on her e-reader, so I’m sure I’ll be getting to that shortly too. I was thinking there was something else too, but I can’t think of it right now. I’ll go through them in more depth later.